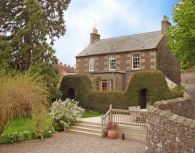 One-of-a-kind guest houses, B&Bs and self-catering in Fife, Scotland. Discover your perfect place to relax, enjoy and base yourself with A Stay in Fife. 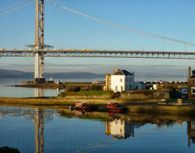 From North Queensferry in the south, to Cupar in the north, Dunfermline in the west, to St Andrews in the east, you'll find a great range of unique guest house, bed & breakfast and self-catering accommodation throughout Fife to suit you - many with hotel-style hospitality and each with our trusted seal of approval. To find A Stay in Fife that's right for you, just browse through our specially selected list of members or use the search options to tailor your preferences. Once you choose where to stay, please contact the relevant accommodation provider directly or book online via their website. 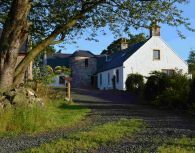 A picturesque stone cottage, Gruinard has been refurbished to a high standard with all modern facilities whilst retaining original period features. Friendly and informal where comfort and enjoyment are a top priority, this attractive and appealing guest house has stunning views over the River Forth to Edinburgh and its skyline. The colourful walled garden to the rear of the cottage is alive with local birdlife and contains ever-changing shrubbery and unusual driftwood sculptures and other seaside treasures found locally. The Old Orchard is a delightful cottage set in beautiful gardens down a private drive and offers ample off-road parking. 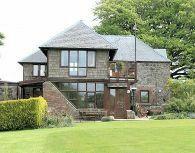 Enjoy a full Scottish breakfast overlooking the garden with fields beyond, in a very tranquil setting in Fife. Guests can also relax and enjoy the views in our conservatory. Situated within minutes of the coastal path at Elie, we are only 15 minutes from St Andrews, the home of golf, and surrounded by many other golf courses such as Leven, Lundin Links, Crail and Charleton in Colinsburgh. 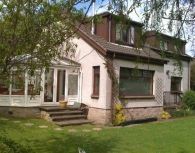 Bunree B&B is a purpose-built chalet bungalow set in rural countryside on the outskirts of Dunfermline. Your Hosts Una and Hamish take pride in offering the best of Scottish hospitality to ensure your stay is a comfortable, enjoyable and memorable experience. Ideally located for golfing excursions to St Andrews, Gleneagles and Muirfield all within an hour, and sightseeing tours with in-house executive car hire available. Transfers from Edinburgh, Glasgow, Prestwick, and Newcastle Airports can also be arranged. Located on a private estate in the heart of Fife, Montrave House has been in the Gilmour family for over 150 years. 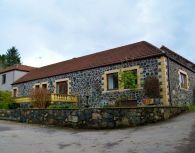 The house was completely renovated in 2010 and guest accommodation consists of two double bedrooms and a single bedroom. Guests have the use of the living/dining room with its own little kitchen, and can take the opportunity to wander around and enjoy the glorious gardens and woodlands of our 250 acre estate. Stabling is available for guests on riding holidays. 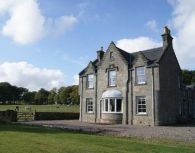 A relaxing, tranquil countryside bed and breakfast on the outskirts of Kettlebridge in Fife, approximately 5 miles from Cupar. Away from the hustle and bustle yet close to a wealth of activities & places to see when visiting the area. We are conveniently located to attending a wedding or special occasion at surrounding venues such as Balbirnie House, Kilconquhar Castle and Fernie Castle. An ideal base for guests visiting on business, with long stay rates available by arrangement. Located at the end of a quiet farm road, Cherry Tree Lodge is a secluded, easily accessible guest house offering bed and breakfast with stunning countryside views in the Kingdom of Fife. Dunfermline railway station with direct trains to Edinburgh is only 7 miles away. A former gamekeepers cottage, Cherry Tree Lodge has been recently renovated and extended to provide modern, comfortable accommodation whilst maintaining the character of the original building. Backmarch House Bed and Breakfast in the Garden City of Rosyth near Dunfermline, Fife was built in 1829. This former Georgian farmhouse has been beautifully renovated to provide quality B&B accommodation. Set in its own grounds it offers generous parking and tranquil gardens. Located only 20 minutes from Edinburgh, we offer three beautifully appointed, en-suite bedrooms, which are centrally heated and delightfully furnished for your comfort, paying particular attention to detail. 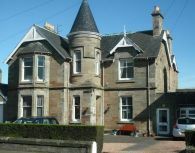 Northcraig B&B overlooks a natural harbour and pier, with stunning views of the village and glorious sunsets towards the Forth Road Bridge. 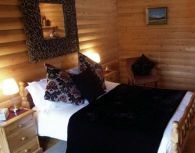 All rooms are west facing with wonderful river views and are attractively furnished with comfortable beds. There's off-road parking, WiFi and a friendly, welcoming atmosphere. North Queensferry is ideally situated for visiting Edinburgh, the east Neuk of Fife and the Borders/Central Scotland. The direct train to Edinburgh centre is only 20 minutes. 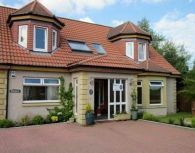 Dianne and Sandy Matthew offer superior hosted holiday accommodation at Gorno Grove House, near Strathmiglo in Fife. Our friendly, informal style in this lovely home, ensures that guests who arrive as strangers always leave as friends. A galleried entrance hall opens into the dining room where guests dine with their hosts. A large sitting room with wonderful views over the landscape has fine pictures, a piano waiting to be played and a roaring fire in the hearth in the winter. Beaumont Lodge is situated on the stunning Fife coastline of Anstruther, set just a short stroll from the shoreline and harbour. There's also a great 9-hole golf course close by. 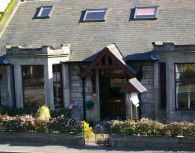 We are a lovely, well established and maintained, family-run bed and breakfast offering affordable excellence. Our varied breakfast menu, which is planned to suit all tastes, uses only the best produce. We aim to ensure your stay is enjoyable and one you will remember with pleasure. You will be made extremely welcome in our lovely home, where we will strive to exceed your expectations. Rated 4 Stars by VisitScotland, our luxurious accommodation has been decorated and furnished to high standards to ensure you enjoy a comfortable and relaxing stay. A delicious, three-course dinner can be provided following prior notice. Burntisland is located on the main east coast railway line with easy access to Edinburgh, Dundee, Perth and Glasgow, while the Rosyth ferry terminal is only 15-minutes away. 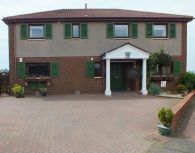 Milton Lea B&B is situated in peaceful Fife countryside, close to Leuchars railway station and the Fife Coastal Path. The villages of Balmullo, Guardbridge and Leuchars are all with an easy walking distance. St Andrews, Dundee and Cupar are all within a 10-minute drive. All our guest rooms are on the ground floor for added convenience. Our accommodation has beautiful views of the surrounding countryside. Our family room has access to a seated patio area in the garden. 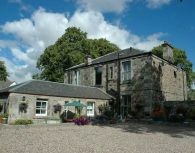 Lovely farmhouse bed and breakfast ideally located between Cupar and Pitscottie. Traditional with modern comforts, our family-run farmhouse accommodation is set in beautiful countryside only 6 miles from St. Andrews, the home of golf, and 1.5 miles from Cupar. We are ideally based for touring Fife or walking/cycling holidays and can offer our cosy annexe, Little Dura, as a budget option. We have a large parking area and can accommodate cars and trailers. Fincraigs is an Georgian Farmhouse offering bed and breakfast accommodation. 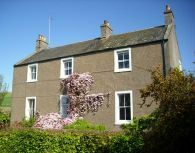 The house sits in the beautiful rolling countryside of NE Fife, close to Balmerino Abbey and the Tay Estuary. Expect peace and tranquillity, the call of the wild and a warm welcome. Guests are given a delicious breakfast, using local produce and an evening meal is offered by prior arrangement. Elendil B&B is a detached villa set in picturesque gardens with views over the Firth of Forth in a quiet residential area of the Royal Burgh of Inverkeithing. We are ideally situated for touring or golfing in Fife and the perfect base for visiting Edinburgh, Perth and Stirling. Conveniently located for both business and leisure guests, we are situated within 5 minutes of regular bus and train services to Edinburgh, 5 minutes from the port of Rosyth and offer easy access to the M90 motorway for exploring Fife and beyond. Located a 5-minute drive from St Andrews' famous Old Course golf links, we offer the warmest of welcomes in our charming, independent accommodation. Hosts Douglas and Elaine provide exactly the right combination of a warm welcome, wonderful breakfasts and genuine concern for guest comfort during your stay. All rooms have a luxury en-suite with private parking. An ideal base for exploring St Andrews, the East Neuk of Fife, Edinburgh and beyond. 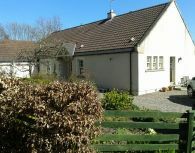 Stylish B&B and self-catering accommodation at Redwood Cottage, Auchtermuchty, FIfe, Scotland. 'A peaceful haven hidden away in the beautiful Howe of Fife' Redwood Cottage has been architecturally redesigned to provide the highest standard of comfort and stylish accommodation. 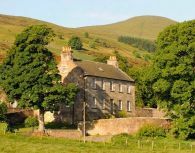 The cottage, with its own private walled garden and secure off road parking, has outstanding views across open countryside to the Lomond Hills. An ideal base for touring Fife or exploring further afield. The Roods is a beautifully appointed family home with guest accommodation set in extensive secluded gardens. Guests can enjoy a wealth of home and business comforts. All our en-suite bathrooms/shower rooms are spacious and luxurious. In the summer months sit on one of the patios overlooking our lovely landscaped garden. The Royal Burgh of Inverkeithing is an ideal location for both business and leisure guests with excellent transport links to Edinburgh and the rest of Scotland. 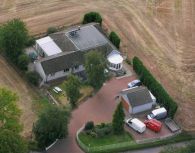 Redlands Country Lodge B&B near Cupar is a guest house in Ladybank near Cupar & Pitlessie in Fife. Ideally placed to explore Fife, we are 15 miles from St Andrews, set in farmland. Outdoor hot tub. Certificate of Excellence from Tripadvisor. 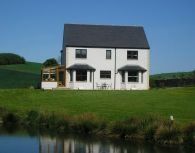 Self catering cottage also available and is pet friendly. 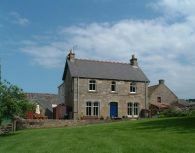 Balhousie Farm B&B is a modern, comfortable farmhouse located on a working farm just three miles from the village of Upper Largo. It's the perfect base to enjoy a relaxing break in the Fife countryside overlooking fields and hills while exploring the East Neuk of Fife fishing villages, St Andrews and the East of Scotland. Balhousie guarantees fresh air, wide-open spaces and wonderful views, and what better way to start your day than with a hearty, traditional Scottish breakfast cooked in our farmhouse kitchen. 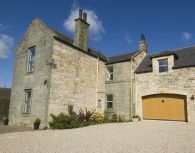 Ferrymuir is a 200 year-old luxury stable conversion, situated in an acre of garden, offering first class accommodation just 9 miles from St Andrews. 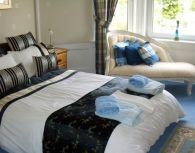 Elegant but unpretentious, we offer all the modern luxuries you would expect of a top class boutique bed and breakfast. Peace and tranquillity is what it's all about at Ferrymuir and our spacious rooms create a kick-off-your-shoes relaxing environment. Rooms have garden views and are either contemporary or more traditional in style. Self-catering Ladywell House in the Royal Burgh of Falkland was previously owned by Francis Shand-Kydd the mother of the late Diana, Princess of Wales. 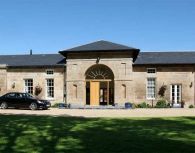 Our large and elegant house set amidst hundreds of acres of farmland is a former manse built in 1804. Sleeps up to 12 guests and commands outstanding views over North Fife and the picturesque village of Falkland, location of the historic Falkland Palace. On a clear night the lights of St Andrews can be seen.